The water bottle is the most important piece of equipment for any Spinning® class, and dehydration – even slight dehydration – can have serious consequences on performance and health. 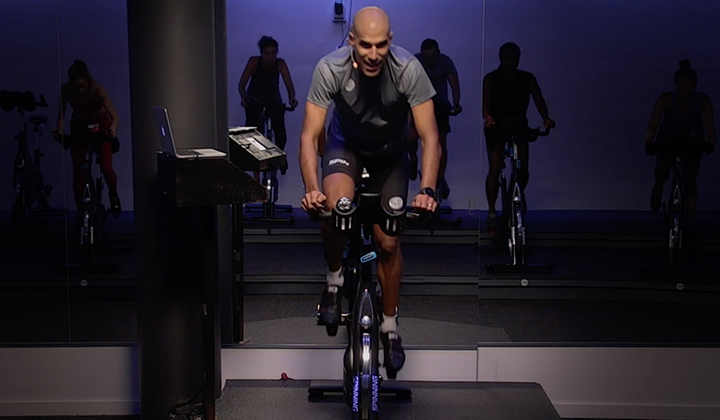 A study published in March 2014 in the journal Nutrición Hospitalaria found that 90 minutes of indoor cycling performed without hydration resulted in elevated body temperature, blood pressure and heart rate in both men and women, though men were more severely affected (1).Given this and a significant body of additional evidence underlining the importance of adequate hydration, the Spinning program advises that instructors cue hydration breaks throughout the class and encourage riders to consume water before, during and after each class, aiming for a total of 40 ounces. However, with all of the emphasis placed on achieving adequate hydration, it’s possible to go too far, and actually get “drunk” on water. The condition is called hyponatremia and occurs when your blood sodium levels drop too low (serum sodium level below 135 mEq/L) and causes swelling at a cellular level. According to the Cleveland Clinic Journal of Medicine, as many as 10 percent of ultra-distance athletes experience hyponatremia and longer race-completion times increase their risk (2). Women and people with low body weight are also more likely to be inflicted with the condition (2). 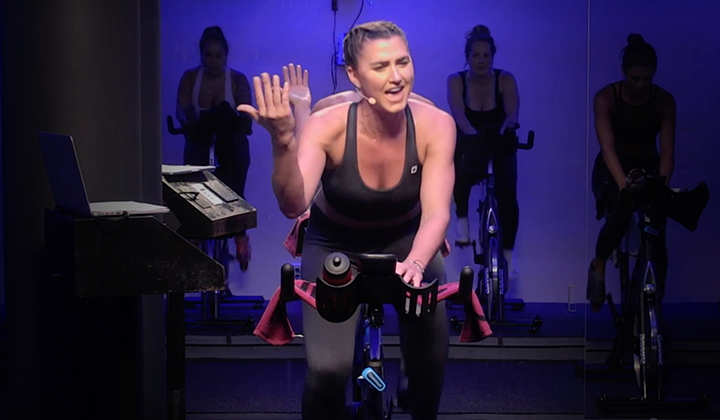 Numerous case studies published in medical journals in recent years have documented instances of hyponatremia, and they’re happening surprisingly often in indoor cycling classes. 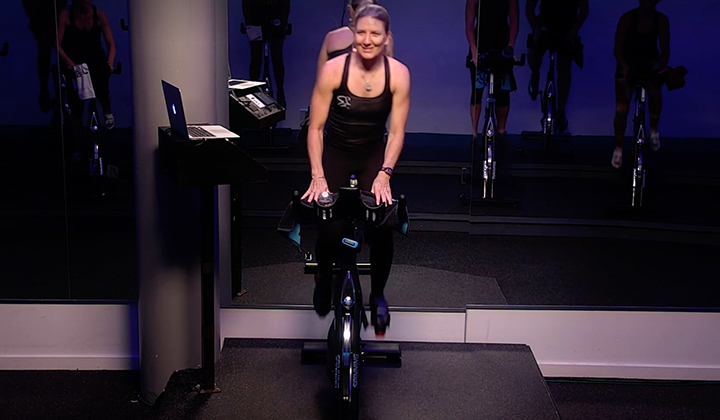 In the journal Ugeskrift for Laeger, Danish doctors observed a woman who arrived at the emergency room presented with lethargy after a “spinning marathon.” She had severe electrolyte disturbances and swelling in her brain, requiring a stay in the intensive care unit. 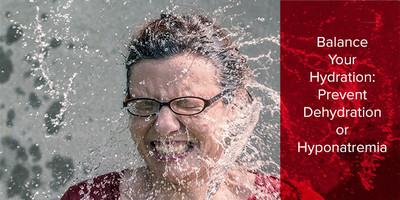 Additional symptoms of hyponatremia include nausea, headache, confusion, loss of energy, restlessness and irritability, and even seizures or coma (3). The goal of hydration during exercise is balance – neither too much nor too little, only as much as is needed to replace fluid losses. As much as 60 ounces of sweat can be lost per hour during an intense workout, depending on body weight, exercise intensity and humidity and temperature of the workout facility (3). The goal of hydration is to replace these lost fluids. Thus, it is important for an athlete to understand how much water he or she is losing and hydrate accordingly. Measuring body weight before and after a ride can give some indication of fluid losses. Drink 16 ounces of fluid in the two to three hours prior to an intense workout. 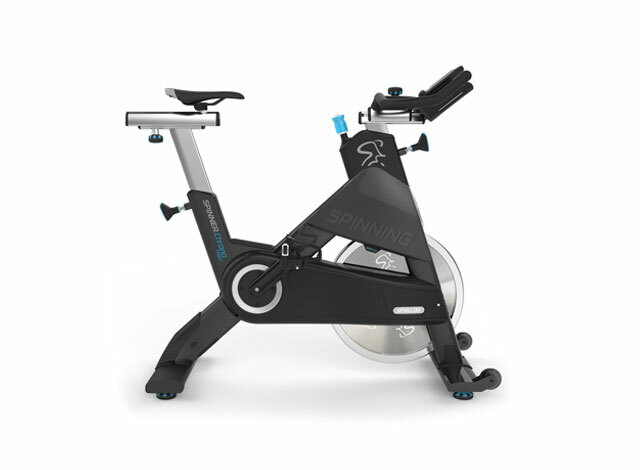 Limit consumption of water to 16 to 24 ounces per hour during a Spinning session. Replace fluids lost during exercise (as evidenced by body weight) with about 16 ounces of water per pound of body weight lost following the workout. Consume a sports-drink with electrolytes if engaging in exercise for longer than one hour. Ramos-Jimenez, A., Hernandez-Torres, R.P., Wall-Medrano, A., et al. (2014). Gender- and hydration- associated differences in the physiological response to spinning. Nutrición Hospitalaria 29(3), 644-651. 2. O’Connor, R.E. (2006). Exercise-induced hyponatremia: Causes, risks, prevention, and management. Cleveland Clinic Journal of Medicine, 73(3), S13-28. Mayo Clinic. (2014). Hyponatremia. Retrieved from: http://www.mayoclinic.org/diseases-conditions/hyponatremia/basics/definition/con-20031445. Skjonnemand, M. (2013). A case of severe exercise-associated hyponatremia. Ugeskrift for Laeger, 175(19), 1349-1350.